Every year as the Sun traverses Sagittarius (,approximately 23rd November – 22nd December) we have the opportunity to strengthen our spiritual alignment. During this transit we prepare inwardly for the holy Festival of Capricorn, wherein the birth of the Christ in the Cave of the Heart may be realized. This Birth may occur during the Full Moon in Capricorn, Holy Week and New Years Eve in December each year. For all spiritual seekers the keynote of the Sun’s movement through Sagittarius is:- “I see the goal, I reach that goal and then I see another”. For the remainder of humanity whose focus rests upon the material world and their advancement and place within it, the keywords remains:- “Let food be sought.” It is only when we have satiated our fill of all that the material world has to offer that we realize we yearn for something indefinable; then and only then do we turn to seek nourishment from the inner worlds of Light. 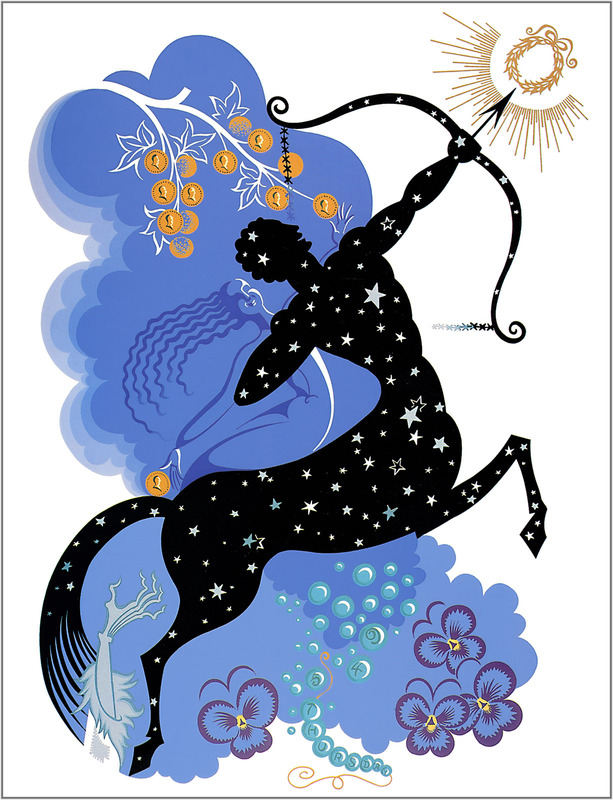 The World Aspirant, governed by the sign of Sagittarius, is one-pointed, often represented as a centaur with an arrow of intuition pointed towards the realms of Spirit. We are that centaur (half human/ half horse) and it is our task to take charge of the animalistic side of our nature; to rise above it and strive to live within our soul Light. The struggle for all of us who seek a safe foothold on the Path of Light, is eased when we direct our life with spiritual aspiration. To find something greater than ourselves to aspire towards; to set a clear direction and galvanize our actions towards a goal that benefits others – this clears the path ahead. Exoterically, our personal selves are tossed upon the Ray of Harmony through Conflict; there exist a million distractions which can potentially take us away from the Path and our lofty aspirations. We need to find our way through this maze; to find the point of harmony within ourselves. From the still point within, free from worldly distractions, we can focus our efforts upon a worthy goal. Esoterically Sagittarius is ruled by the Earth and is influenced by the 3rd Ray of Active Intelligence and the Holy Mother. In order to fulfill our soul goals, we must place our feet firmly upon the earth. With our feet on the earth and our head in the clouds we form the bridge twixt Heaven and Earth. In so doing we gradually learn to be accountable for our own actions. According to our unique karma, there are certain tasks which we must undertake, in order to fulfill our soul’s dharma. Dharma, simply put, is the next task which falls to our hands, according to our soul’s direction. It is that indefinable something that provides the opportunity to neutralize karma, while at the same time grow in soul stature. When undertaken satisfactorily, certain soul lessons are learnt, negative karma may be ameliorated and our next step or test is revealed. Generally our dharma can be found right under our nose; it is not difficult to identify, once we have accepted our karmic circumstances and limitations. One of the best ways of understanding our unique karma and dharma is through an esoteric astrology reading. Despite the fact that we often intuit, consciously or subconsciously our dharma; nevertheless it is human nature to look beyond our dharma, seeking to embrace some other goal or aspiration. “Pass through and find the marsh of stymphalus, wherein dwell the birds that havoc wreak. Discover then, the way to flush them from their long secure abode. The flame that gleams beyond the mind reveals direction sure. Hercules, the son of man, who is also the son of God, proceeds through the gate and comes upon a fetid marsh, which holds a multitude of birds. These birds emit a raucous, menacing caw; a dissonant chorus. They are large, fierce and hideous – each bird has an iron beak, sharpened like a sword. Their feathers are like steel shafts; they have sharp talons. Presently three birds attack Hercules; he beat them off, and in so doing he manages to loosen a few feathers. Hercules then attempts to kill the birds with a quiverful of arrows, however he only succeeds in slaying a few of the multitude. These birds are so plentiful that they obscured the sun. Hercules contemplates a variety of plans, none of which could be successfully enacted. Then he remembers the cryptic counsel of his Teacher. Having passed through the transformational sign of Scorpio, Hercules has demonstrated his ability to begin to free himself from the serpent of illusion. A degree of fear, glamour and beguilement has been released. As a result, a vision is revealed to Hercules. Sagittarius represents the one-pointed aspirant, the unified personality, conscious of the soul, determined to enter the sign Capricorn, where the beginnings of the spiritual world are encountered. Sagittarius is symbolized by the archer on the white horse. Representing Divinity, he is sometimes pictured as the centaur with bow and arrows. The moment we have freed ourselves from illusion, that moment Capricorn enter into Sagittarius and we see the goal. We need to clear away our aspirational thoughtforms and learn to simply be with what is good, true and beautiful in our lives. As humans we carry a multitude of illusions, which fall away slowly, one by one, as we progress upon the Path of Light. The man eating birds, the ferocious storks where wasting the land, but they were hidden in the marshy undergrowth. These storks represent our distorted thoughts and beliefs; not always visible to us, but clearly colouring our world. Despite the triumph of the spiritual aspirant, as he passed successfully through one aspect of Scorpio, he still has a maze of attitudes and beliefs to negotiate, within the sign of Sagittarius. These beliefs, left unchecked, have the potential to create harm in the world; this harm is represented by the three largest stymphalian birds. As we progress upon the Path of Return, we slowly learn to function as a soul clothed in matter. Until our soul has dominion over our personality (this takes many lifetimes), our thoughts, beliefs and speech have the power to create and direct harm in the world. In contrast, the thoughts of a disciple, who has purified aspects of him/herself in mastering the self, has the capacity for great potency for good. The Path of Aspirancy gives way to the Path of Probation, which is approached by Aquarius and through Taurus. From there, via Scorpio the soul strives until it arrives at the throne of Leo. Once the Birth Initiation has been successfully integrated, then the Path of Discipleship, also known as the Path proper commences. When the soul light of soul has awakened the heart through Leo, the tests of the Fixed Cross begin to shape the next few incarnations, until the portal of Aquarius (on a higher turn of the spiral) is reached. 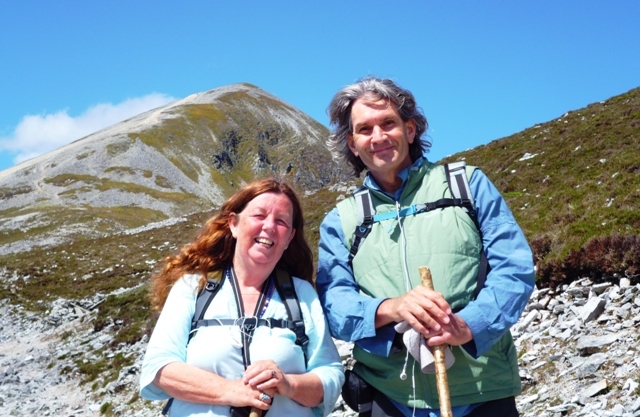 This portal marks curiously, the beginning and also the end of the Path of Discipleship. Beyond the Fixed Cross, the soul is released to greater service upon the Cardinal Cross, where training in World Service (via Pisces, Aries and Taurus) begins in undertaken. Eventually Heaven is taken by storm and the beloved I Am Presence embodies the personal self via Taurus/ Then “ the eye is opened and all is Light”. Collectively we are strive to complete the Sagittarian Labour our task is to remove the birds (harmful thoughts/attitudes/speech) from the marshes into the clear air, where they can be seen and conquered. The three birds are cruel gossip; selfish talk about the self; and casting of pearls before swine. One of the soul lessons of Sagittarius is to learn restraint of speech by controlling our thoughts, both mundane and spiritual. Right use of thought, restraint of speech leads to harmlessness on the physical plane, resulting in right human relations. When we begin to master the Sagittarian lessons then the Path to Liberation, via Capricorn, is revealed. When we strive to make our speech harmless then we find ourselves beginning to climb the mountain of Capricorn; the mountain of Transfiguration. Sagittarius is known as the little or lesser gate, leading to Capricorn. All spiritual seekers must demonstrate the ability to use the arrows of thought harmlessly. 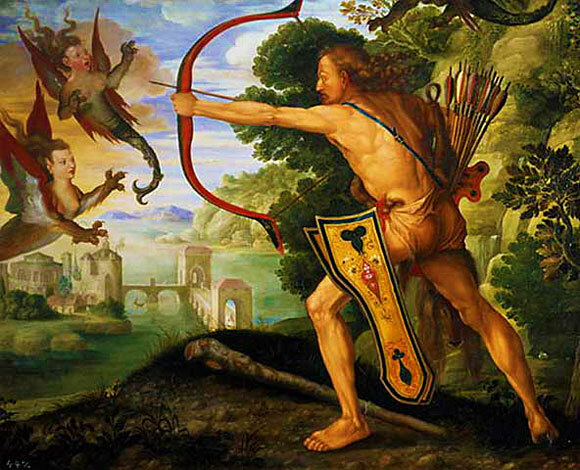 Sagittarius represents the completion of our pre-natal period, before the birth of the Christ in the cave of the Heart. Humanity, as a race, is poised upon the Sagittarian threshold, in these early decades of the 21st century. Within the starry heavens two bird constellations associated with Sagittarius are visible. 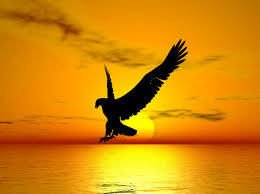 Aquila the eagle, is the bird of Spirit. Symbolizing immortality, it flys straight into the face of the sun. Cygnus, the swan represents the soul. Viewed as four stars in the form of a cross, Cygnus represents the soul crucified into matter. Lyra, the seven stringed harp represents the aspirant, learning to play upon the harp and bring forth the music of life. The constellation Ara stands for the altar of service, upon which our personal selves are sacrificed for the greater good. Draco the serpent, seen in the northern hemisphere encircling the north pole, represents the aspirant searching for the higher teachings sometimes known as the serpent of wisdom. Sagittarius represents the Spirit of Truth; which we encounter step by stp through individual revelation. Sagittarius is the first of the great universal signs – Sagittarius, Capricorn, Aquarius and Pisces. All the various truths form One Truth; when this is realized the soul passes through the Sagittarian gate at the foot of the mountain. Within this sign, we learn to discriminate between right and wrong and to allow others to find their own way, without imposing our truth. An occultist is a human being who directs energy in the world of powers and forces. When we love enough and our motivations are based in the heart. Only then can we be trusted and trained in the development of Divine Will. When we love enough and begin to live more and more in harmlessness, then the Gates of Heaven prepare to open. We are welcomed into the realms of Light and Sound – where our perfect place and perfect dharma within the earth sphere is revealed.